Two imprisoned Iranian Christians have ended their hunger strike after being promised medical care and progress in their case. 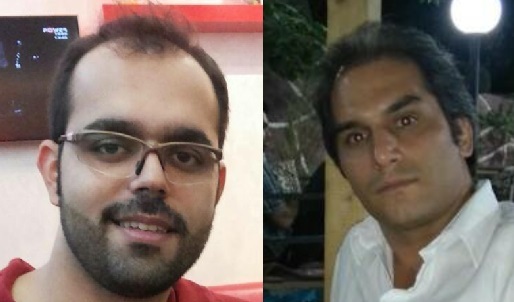 Amin Afshar Naderi and Hadi Asgari, both of whom had reportedly suffered ill health and been refused medical treatment, have been in prison since August last year but have yet to be charged with any crime. On 14 February they were visited by the Head of the Attorney General’s office, Ali Akbar Bakhtari, who promised to investigate their case and that of others imprisoned on account of their religious beliefs, reported advocacy organisation Middle East Concern. They are the two remaining detainees from an initial group of five Christians arrested while picnicking in the Alborz Mountains north-east of Tehran last summer. The other three – Amir Saman Dashti, Ramil Bet-Tamraz and Mohammad Dehnavi – were released late last year, after posting bail equivalent to US$33,000 each. Middle East Concern reported that Naderi and Asgari were unable to raise sufficient funds. An Iranian convert to Christianity imprisoned since August has reportedly fallen seriously ill after going on hunger strike. Amin Afshar Naderi went on hunger strike with his fellow detainee Hadi Asgari, who is also said to have suffered recent ill health and been refused medical treatment. The other three – Amir Saman Dashti, Ramil Bet-Tamraz and Mohammad Dehnavi – were released late last year, after posting bail equivalent to US$33,000 each. Advocacy organisation Middle East Concern reported that Naderi and Asgari were unable to raise sufficient funds. No charges have been brought against the five men, despite months of interrogation and imprisonment. Middle East Concern said their arrests were likely to be a result either of their Christian faith or their connection to Victor Bet-Tamraz, Ramil’s father. Naderi and Asgari are not the first Christians to go on hunger strike in an Iranian prison. Last year, World Watch Monitor reported on the case of Maryam Naghash Zargaran, an Iranian Christian woman who has spent more than three years in prison and last year had her sentence extended by six weeks to make up for the time she has spent outside prison on medical leave. Zargaran had previously undertaken two hunger strikes to protest against being denied access to the medical treatment she requires for long-standing health issues. 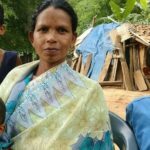 She was eventually allowed to temporarily leave prison to receive treatment, but each time forced to return before it could be completed. 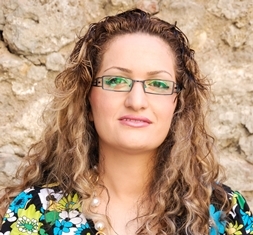 Zargaran, a convert from Islam, was originally arrested in January 2013, in connection with her work at an orphanage alongside Saeed Abedini, who was also imprisoned, but eventually released last year. Ebrahim Firouzi also went on hunger strike to protest against the conditions he faced in prison. Meanwhile, three other Iranian converts sentenced to 80 lashes each for drinking alcohol (wine) during Holy Communion are awaiting the result of their appeal. Their lawyer argued that while it is illegal for Muslims to drink alcohol in Iran, the three men – Yasser Mossayebzadeh, Saheb Fadaie and Mohammad Reza Omidi – say they are Christians so it should not be illegal for them. Their case is complicated, however, by the fact that it is illegal to leave Islam in Iran, so the judge may still treat them as Muslims. Their appeal hearing took place on 9 February. A verdict is expected within 20 days. It is the second time Omidi has been convicted of drinking alcohol. A third conviction could lead to his execution. The three men have also been charged with “acting against national security”, alongside Youcef Nadarkhani, who previously served almost three years in prison for apostasy – a charge for which he once faced the death sentence, before his release in 2012. The maximum sentence for “acting against national security” is six years in prison. After two hearings, the judge has still to make a decision. As Middle East Concern reported, all four men have been warned by the Revolutionary Guard that they will face further charges if they don’t stop Christian activities. In its newly released review on the status of human rights worldwide, Human Rights Watch denounced Iran’s treatment of Christian converts and members of the “house church” movement. Henriette Kats, analyst for Christian charity Open Doors, said: “Of all different types of Christianity in Iran, it is especially those with a Muslim background who are suffering for their faith. However, Persian-speaking Protestant Christians are facing hardships as religious minorities as well, especially when they are active in spreading their faith. Human Rights Watch did mention their situation in previous annual reports but made no reference to it this year. In order to be complete, the situation of these Christians need to be mentioned as well. ‘The government has further intensified its campaign to remove Farsi-speaking Christians from the country. During past years, many churches have been shut down, confiscated or forced to cancel their church services in Farsi. Their leaders were also often arrested. Congregations who still gather in churches are not allowed to accept new members with a Muslim background and their current members are ageing. Severe surveillance on house-churches leads to increasing fear among those attending.